Rafael Ishkhanyan was a prominent expert of Armenian language and book history, and also an engaged intellectual in Soviet times and the first years of the second independence. In 1939 Rafael Ishkhanyan entered the Faculty of Philology in Yerevan State University. However, he interrupted his studies in 1940 when he was drafted by the Soviet army. He was wounded in World War II, fell prisoner to the German army, and after being released, he returned to the battle front. After the end of the war, he was discharged and returned to his studies. After finishing university in 1949, he left for Moscow, where he also graduated from the Institute of Library Studies in 1954. From 1955-1963, Ishkhanyan worked in the field of library studies. He entered the Public (now National) Library where he worked as a senior librarian, head of subdivision, and head of division, and also worked at the Matenadaran as director of the scientific library. He also taught at the distance course of the Pedagogical Institute of Armenia. In 1962 he defended his first Ph.D. dissertation about Axel Bakunts (1899-1937), one of the prominent writers killed during the purges. 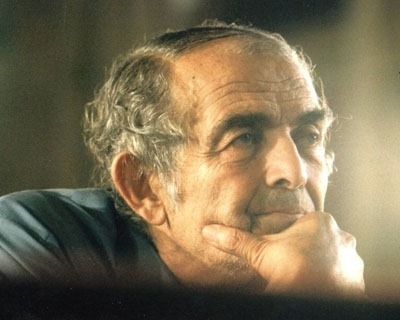 The following year, he entered his alma mater, where he would spend the next thirty years (1963-1992) teaching at the chairs of Armenian language and history of the Armenian language. His main subjects were Armenian contemporary language, dialectology, and history of the language of Armenian literature. He would defend his second Ph.D., “History of the language of modern Armenian literature,” in 1973, and earn the title of professor in 1978. In the late 1970s, Ishkhanyan published some of his major works, Bakunts’ Life and Art (1974), History of the Armenian book (vol. 1) (1977), History of the language of Eastern Armenian poetry (1978), and The New Literary Armenian in the Seventeenth-Eighteenth Centuries (1979). From the 1960s, two controversial subjects attracted Ishkhanyan’s attention, who published his views whenever possible: the origin of the Armenian people, which he considered autochthonous to the Armenian Plateau, and the restoration of traditional orthography (in replacement of the “reformed” orthography imposed in 1922 and 1940). He would ardently defend his views until the end of his life. Not by chance, his first books published on the subject appeared in the Diaspora, because the views expressed did not make it possible to publish in Soviet Armenia: Our Fundamental Orthographic Question (1983) and The Origin and Earliest History of the Armenians (1984). When the Karabagh movement started in 1988, Ishkhanyan was also at the forefront of the national issues that were attached to the claims for Karabagh, and particularly the status of the Armenian language in Armenia. He also wrote extensively about political issues, including Armenian-Turkish relations (The Law of Excluding the Third Force, 1991). He became the editor of “Lousavorich,” a newspaper entirely published in traditional orthography. Two books on his views on Armenian origins were finally published in 1988 (Questions on the Origin and Earliest History of the Armenian People) and 1989 (Armenian Native Words and Earliest Loanwords). In the 1980s he had serialized a history of the Armenian people for children and teenagers, Armenian Illustrated History, of which the first volume appeared in 1990 (two more volumes would be posthumously published in 1997 and 2004). He published a total of forty books in his life and countless articles. In 1991 Ishkhanian was elected a deputy to the Supreme Council (the forerunner to the National Assembly) of Armenia and designated director of the National Library of Armenia. He passed away on February 6, 1995, in Yerevan. The school No. 153 of the Armenian capital now bears his name.